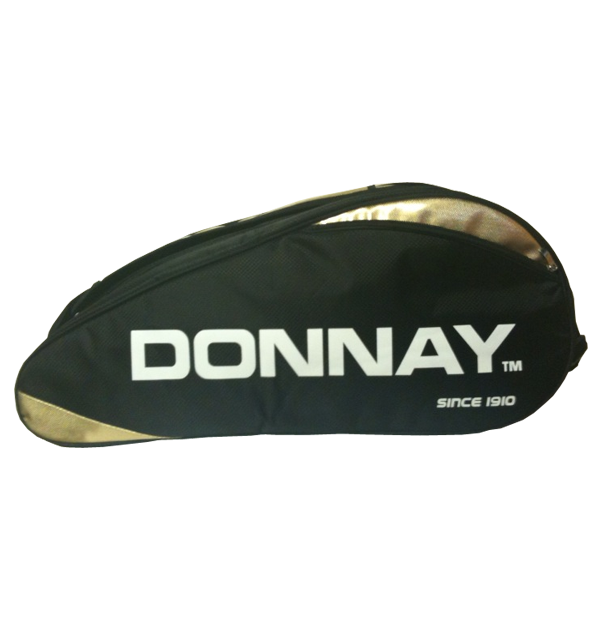 Donnay branded twelve racquet bag. - Two-Way strap system which can be used to turn the shoulder bag into a backpack. 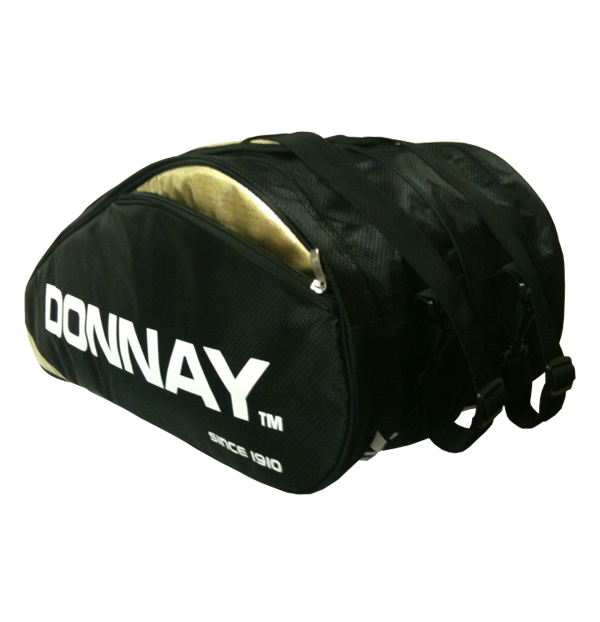 - Three large compartments for up to 4 standard frames and 5 Donnay frames in each compartment. - Extra large zippered accessories pocket on front. 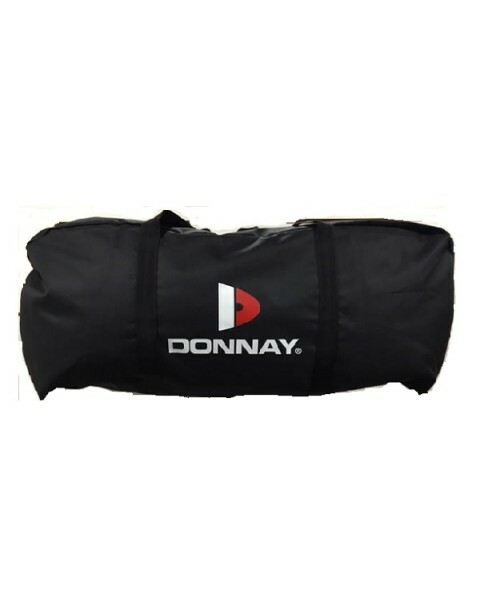 - Reflective patches on both sides of the bag for easy visibility at night. - Pockets for wet clothes or shoes. 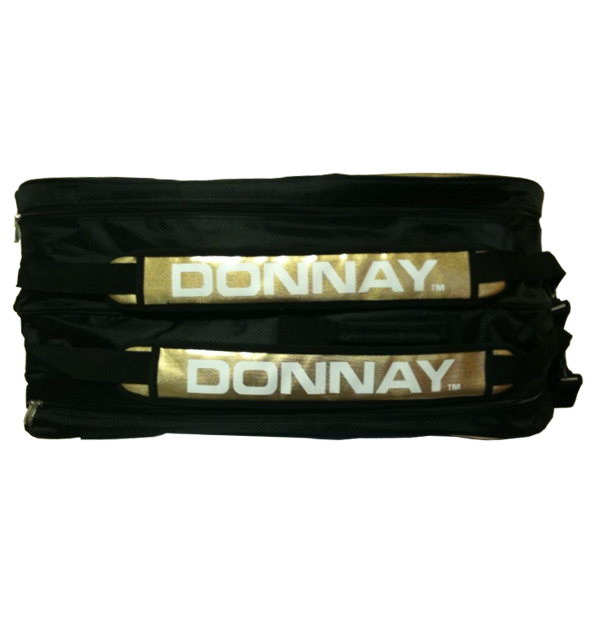 - Teardrop zipper tabs for easy handling.